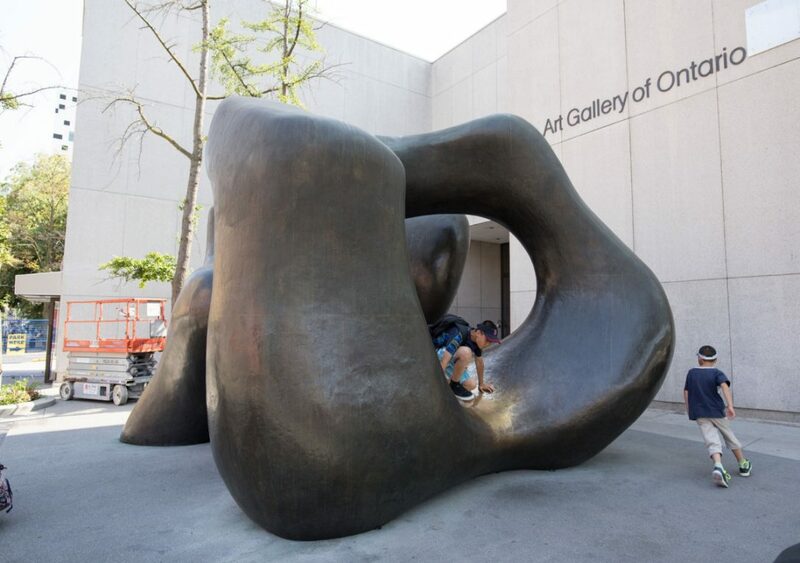 I have had an attachment to the graceful and very large sculpture by British sculptor Henry Moore that has sat silently beside the Art Gallery of Ontario. Its gentle lines and imposing presence has repeatedly provided aesthetic pleasure for me and I expect hundreds, likely thousands of others. This past weekend it was taken to an new location. 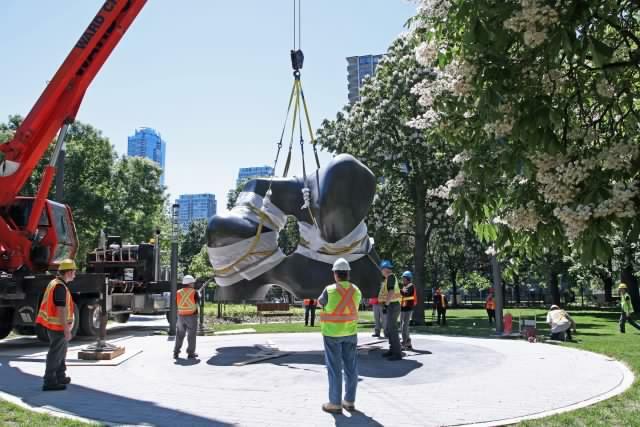 For many months the park behind the AGO has been under renovation and is now near completion and Moore’s sculpture – Large Two Forms – is to take up residence in the park. With many others I am perplexed as to why anyone would want to move what has become something of an icon for the Art Gallery of Ontario fitting so very well with the contours that were part of the renovation lead by Toronto born architect Frank Gehry. I have no doubt that the approach to the gallery will now bring for many of us an experience of absence – something not quite right. I will be interested to discover what might replace the Moore to signal we are entering an artistic centre. However I have no doubt that the imposing form of the sculpture will grace its new space as it did the space now vacant.